The meat looks like cooked white fish, but don't let that put you off. While not as sugary as a mango, it's blissfully sweet. It’s the fruit, I tell you. 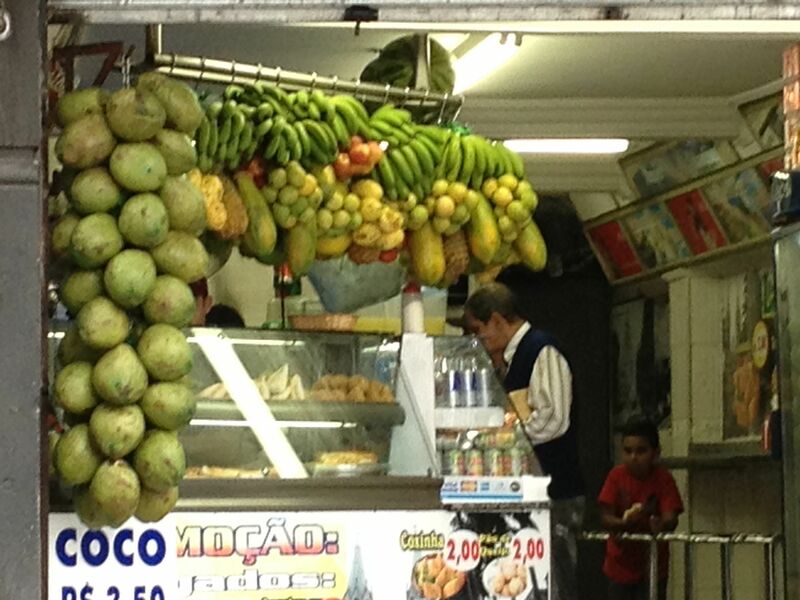 The fruit that makes Brazil so amazing. We can eat mangos to our heart’s content. Can you believe it? 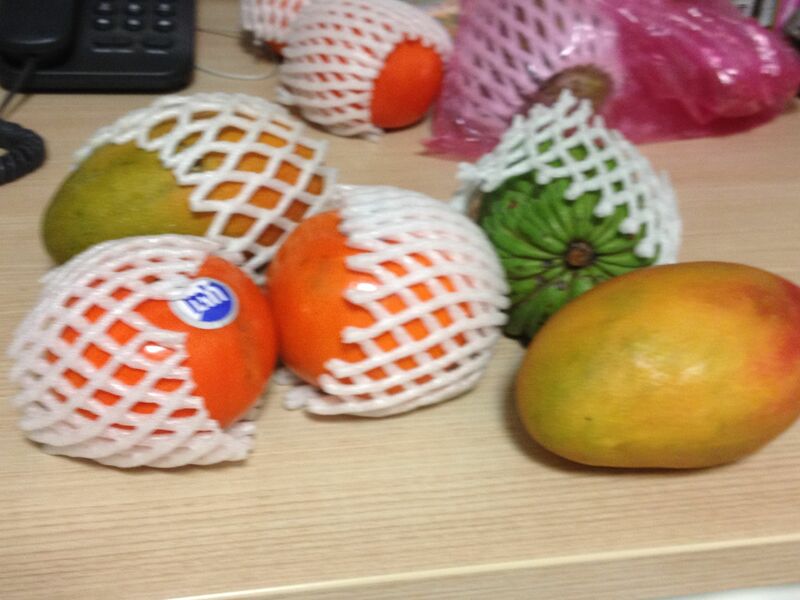 Fresh, juicy, perfectly ripe mangos. Oh my goodness. What delight! Tom went to the Thursday street market near work yesterday and brought home a wealth of goodies, mostly fruit. Of course, there were mangos and bananas and persimmons (Fuyi), but also something else, something we’d seen at the Mambo market but which we had no idea how to eat, or whether you could (some fruit is only for juicing, apparently). It’s called a pinha (pronounced peenya). 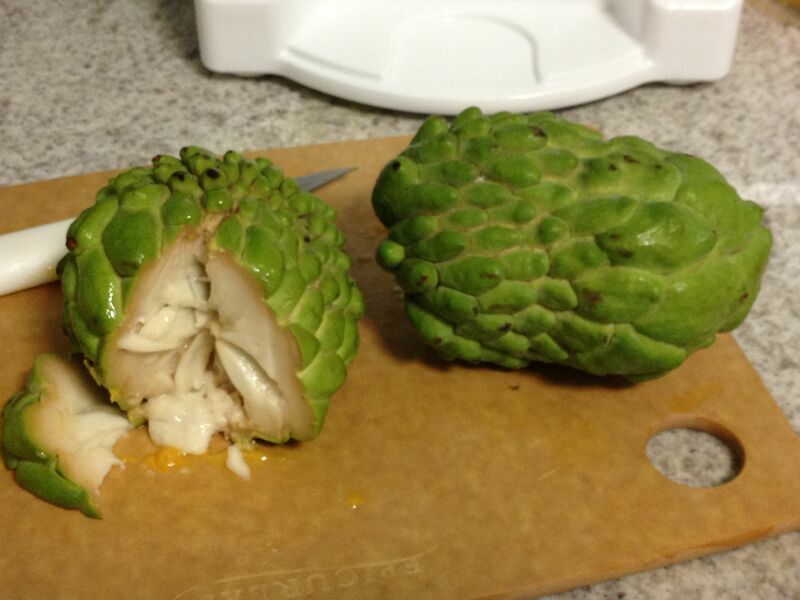 In English, a custard apple or sugar apple. It’s ugly as sin, and looks like an artichoke that changed its mind midway through development–but it must be the nectar of the gods! I’d never have guessed how to eat it, but a street vendor showed Tom. It’s as simple as cutting in and eating to the rind, while making sure not to swallow the little shiny black pips, which are the size of a kidney bean. The meat looks like cooked white fish, but don’t let that put you off. While not as sugary as a mango, it’s blissfully sweet, and slides down your throat like a kiss. For dinner last night, we had sauteed chicken, peas, and a plateful of delicious fresh fruit. 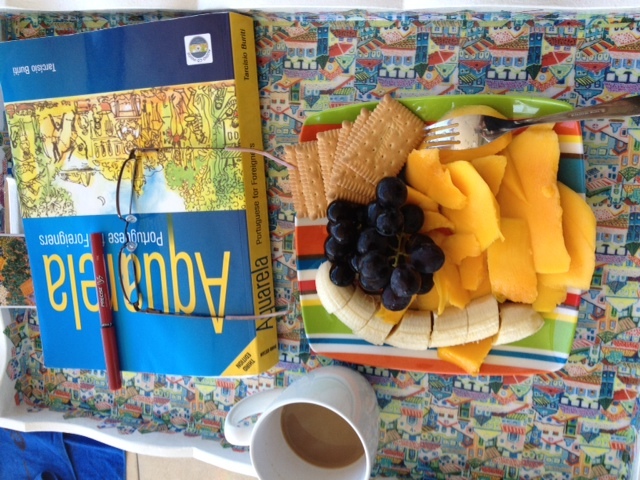 And today, as I ate breakfast and studied my Portuguese, I dined on mangos, bananas, grapes, and sweet crackers with my coffee. I thought I’d miss my usual breakfasts and desserts, but with fruit around, I’m a happy camper.